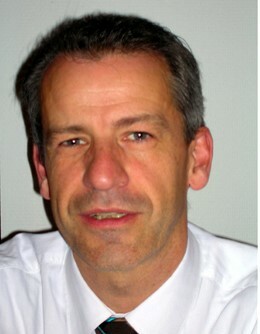 2006- : Member of the board and partner, N-Side (SMB). 2007-2009 : Co-founder and Chairman of the Board - Gambit Financial Solutions s.a. Biography: Yves Crama is Full Professor of operations research at HEC Management School - University of Liège, which he headed from 2004 to 2008. He holds a PhD in operations research from Rutgers University, USA. Before joining the University of Liège, he taught at the University of Delaware (USA) and at Maastricht University (the Netherlands). More recently, he has held visiting positions at the University of British Columbia (Vancouver), at KU Leuven (Belgium), and in Grenoble (France). He is interested in the theory and applications of operations research, in particular in methodological developments in combinatorial optimization and in discrete mathematics as well as in their applications to production management, logistics and finance. He has published over 80 scientific articles and several books in this area. (With Alwin Oerlemans and Frits Spieksma) he has coauthored a monograph entitled Production Planning in Automated Manufacturing (Springer-Verlag, Berlin, 1996), and (with Peter L. Hammer) two books devoted to the study of boolean functions and their applications (Cambridge University Press, New York). He is one of the Editors-in-chief of the scientific journal 4OR (Springer), and he is on the editorial board of the journals Discrete Applied Mathematics (Elsevier), Discrete Optimization (Elsevier), and Journal of Scheduling (Springer). Among other honors, he was awarded the Francqui Chair at KU Leuven in 2009-2010 and he was the Keynote Distinguished Lecturer of the International Federation of Operations Research Societies at the INFORMS 2011 Annual Meeting in Charlotte (USA). He is a partner and consultant of two university spin-offs actively involved in problem-solving and decision-making support systems: N-Side and Gambit Financial Solutions.